Academic Writing: What Are the Loopholes for Using Slang? Can You Use Slang in Academic Writing? Just chill, dude, because you`re about to dive your head into a lit and sick article on slang and its usage in your essays, academic papers, and whatever you write at that university of yours. If you`ve tried and failed because your professor wasn`t really open to your youthful suggestions, then there is a chance that you`ve done something wrong. It doesn`t mean that it`s strictly prohibited from using in your essays. At the end of the day, slang is an active participant in daily conversations. It often happens that it`s able to express brighter emotions and carry a more meaningful message. Of course, we`ve got to take into consideration the fact that there is appropriate and inappropriate slang. All the words which at least remotely look like obscene language are definitely off the table. How will you find out that a certain phrase can be perceived as a rude or even offensive one? Address such website as Urban Dictionary, it will provide you with all possible meanings. It`s free and it has a variety of those expressions. 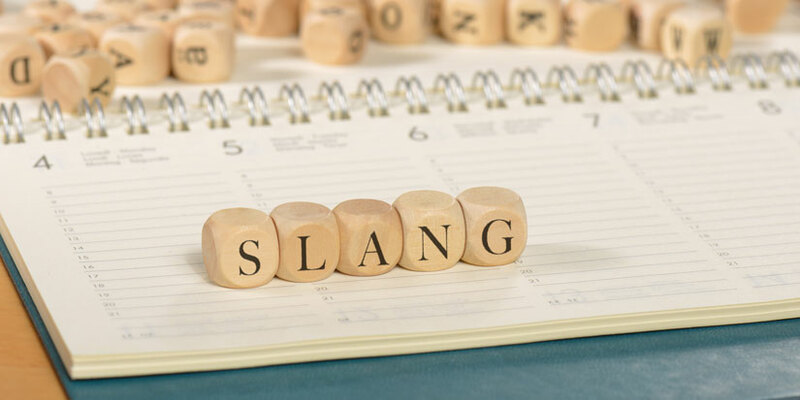 So now, when we`ve established that slang is somewhat appropriate (not always, but still), let`s take a closer look at how you can use it in a more effective way. We`ll start with the topics where unofficial style will be applicable. We hope you have at least a vague understanding what topics will embrace the slang and make its application look natural and which subjects will want to get rid of it. All the essays that you`re writing about yourself, your own experiences, wishes, desires, goals will sound even more personal, believable, and lively if you add some informal language. You won`t write about your family trip to Spain as you were a geologist who is exploring the surface of this country and has to write a report. So yes, anything that is related to your feelings may include the expressions which you actually use in a daily life. Especially when the meaning is pretty harmless. If you get confused with the possibility of application of certain words in your essay, you can just ask a great team of professionals: “Writing my papers is a priority, so you`d rather do an excellent job”, and that`s pretty much it. Needless to say, slang in a serious topic will sound rather obscure, it will seem like this word is from another planet or so. Of course, every sophisticated field of studying has its professional words and even slang, but when we`re talking about the type of conversation you usually have with your roommate at the dorm, it`s definitely not even worth mentioning. What could the exceptions be? If you cite a famous and influential person who uses slang, it`s alright as far as that phrase doesn`t include swear words. Donald Trump`s tweets, for example, are rich with the slang words and they can be rather useful if you write an essay on some political topic. I hope you won`t have a problem determining the righteous field of slang application, but what if your professor is too old-fashioned to admit that these modern youthful words actually make the language more natural and expressive? You may try e-mailing that Doubting Thomas a link to the Oxford Dictionary page which states that this word is in common use and rather popular. Other reputable online dictionaries will provide you with examples and context which you can also send to your professor as the proof. Don`t worry that you may be punished for this or your grades will be lower after such an incident. Obviously, we don`t know what kind of a relationship you have with a professor and how he/she treats students in general, but most of them respect such a bold approach to proving your point. That`s what university is actually supposed to teach all of us. There are certain situations when the professor (despite all the years of working with the youth) isn`t really aware of the existence of slang. I mean, of course, he knows that this phenomenon is living somewhere in society, but he isn`t familiar with the active usage of one. Let`s say, he/she doesn`t have grandchildren or just isn`t a fan of talking to those little pumpkins. Now think, do you often use slang while talking to your professor? In most cases, when we are at the university, we watch our mouths and talk respectfully and politely. So, actually, there is a little chance that the professor will be unfamiliar with many examples of youth slang. Especially when those words are related to the sphere of social media, information technologies, and others. That`s why you should know your audience, and this is a universal tip when you`re writing any academic work. Our writers, from whom you can buy essays, definitely know those common rules. There are professors who are active users of slang themselves. It brings them closer to the students, make them more relatable and helps to form a closer, more trustful bond. They even use it as a psychological trick. So, it`s not an utter and complete “no-no”, it`s a rather “careful-careful” approach that you should take. Rated 4.5 | 114 votes.